After a spectacular show of skill, team work, and determination, the US-based powerhouse team of Evil Geniuses (EG) emerged as the grand champion of the first ever Manila Masters, the country’s biggest eSports event presented by PLDT Home Fibr and Smart Communications. 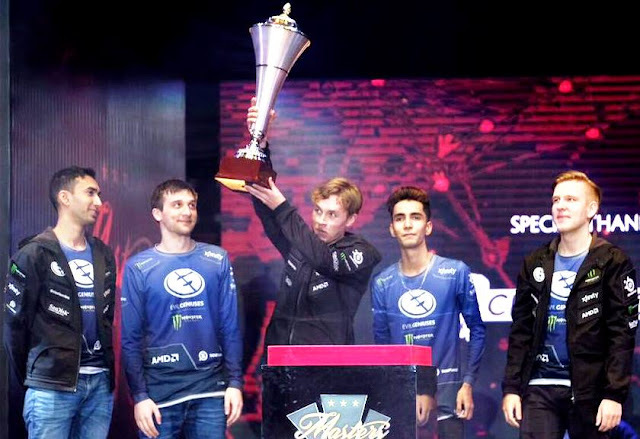 Composed of Artour Babaev (Arteezy), Sumail Hassan (Suma1L), Saahil Arora (UNiVeRsE), Ludwig Wåhlberg (zai), Andreas Nielsen (Cr1t), EC edged out the formidable China-based Team Newbee with a 3-1 score in the best of five grand finals to win USD125,000 – the lion’s share of the USD250,000 prize pool. Thousands of gamers, fans and enthusiasts showed up for the three-day tournament at the SM Mall of Asia Arena in Pasay City, to witness eight of the world’s best DOTA 2 teams battle it out for prestige and glory. EG and Newbee were joined by OG, Team Secret, Invictus Gaming, Team NP, Faceless, and the Philippines’ very own representative, Clutch Gamers. As presenters of the country’s biggest eSports event, both PLDT Home Fibr and Smart pulled out all the stops to give subscribers a gaming experience like never before – from giving away tickets, streaming the games online, to raffling off awesome prizes at the event. Relive Manila Masters 2017 with Smart’s official coverage and exclusive photos on Facebook (www.facebook.com/SmartCommunications), Twitter and Instagram (@LiveSmart).